Would you love to watch your favourite TV series without the subtitles? In this golden age of TV, it’s no surprise. From the incredible camera angles, to the gripping storylines and the credible characters, TV shows are the new films. If you’re still “reading” the subtitles after years of learning English, then you’re missing out. You’d love to stop “reading” your favourite series, but you just don’t think it’s possible. I’m here to tell you that it is. 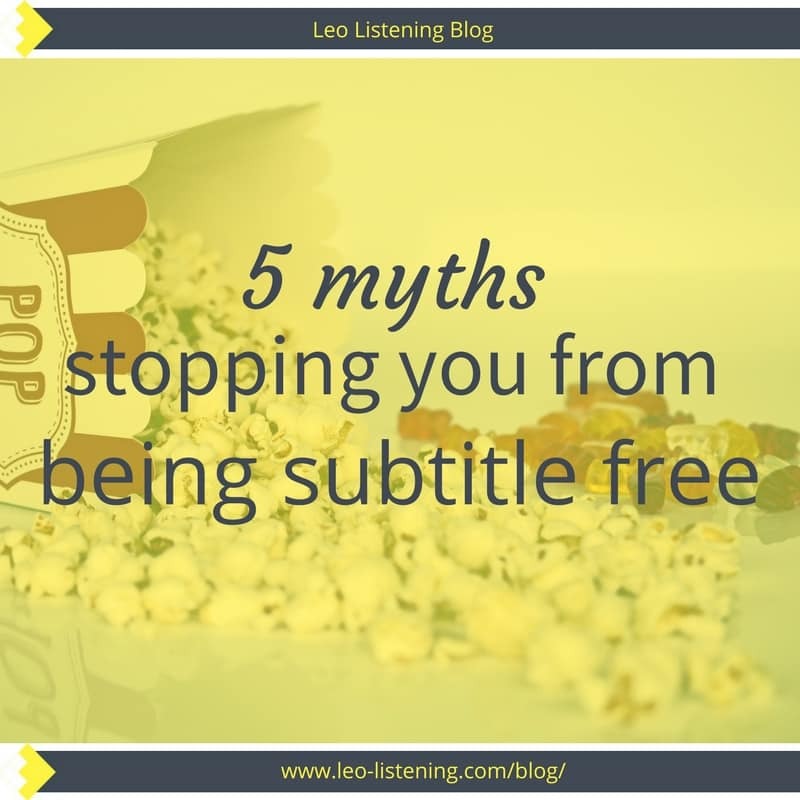 Once you let go of the 5 myths below, you can be subtitle free. A lot of teachers repeat the same useless advice: You don’t need all the words. Just focus on the stressed words. The thing is, if you only focus on the stressed words, you still miss half the message. You get a lot of important information from all the little grammatical words like auxiliaries, contractions and negative forms. I believe in catching more than just the stressed words. At the same time, we all struggle to catch 100%. I don’t catch everything in movie and TV series dialogue. I don’t get all the jokes in some series because I don’t get all the references. I can’t teach you the whole of 20th century American pop culture. Especially because I don’t know it myself. What I can do though is get you comfortable with understanding 80% of what you hear without the subtitles. With 80% you’ve got enough to understand the series. Even better, you can finally pay attention to the bits you were missing before like the scenery, the actors’ lip movements, their gestures and other visual clues. All these other clues will help you understand, not just guess. But, you only reinforce your understanding though context once you can catch enough words – 80% of them for example. Anything less and you’re playing a guessing game. 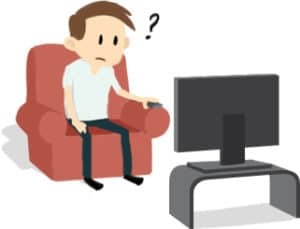 Have you been practising by watching movies and series without subtitles? But do you always end up switching the subtitles back on? Subtitle freedom for absolutely everything you watch is tough. I know I struggle when I watch a new series. In our own languages, we need time to adapt to people’s voices and get used to how they sound before we can understand. But if you focus on the one series you love the most, then yes, you can get to subtitle freedom. You’ll be motivated to learn and practice because you love the series and want to know what happens. Especially if it’s Game of Thrones where each episode ends on a cliffhanger every single week. And you already know how the actors sound, what their accents are like and the typical vocabulary they use. Nothing is new for you in that regard. So by focusing on your favourite series, the one you move the most, you can break free from the subtitles. And once you’ve discovered the method for one series, you can repeat it for others that you like. Myth 3: but what if I miss a bit? Yes, you may miss some bits. Some jokes. It’s not the end of the world though. I miss them too in American TV series, but I still enjoy watching them. If a bit of the series does seem important to the plot and you need it to understand the rest of the episode, then yes, rewind and re-listen or switch the subtitles on for that section. By watching with subtitles, you’re missing out on more than you would without. You don’t get to see your favourite actors, their facial expressions, the lighting, the scenery and all that good stuff. Once you can catch 80%, switch those subtitles off and don’t worry about that remaining 20%. You’d need to use 80% of your efforts to catch it anyway. You don’t need to panic. You’ve got this. You can do it. Have you ever heard stories of people who listen to hours and hours of English each day? The, one day, as if by magic, they start understanding everything. Now, I’m not going to disagree with this theory. If you listen to an awful lot of English, then you could one day crack the code and understand everything. 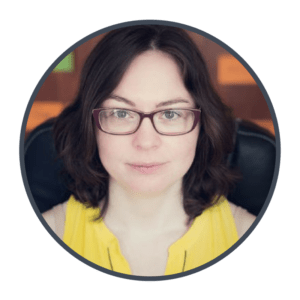 And I do encourage everyone reading this blog to bring more English listening into their life. But let’s be realistic – who has the time to listen to English all day long? You’ve got your life, you’ve got work, you’re running a business, and you’ve got other hobbies like yoga or reading in English. I’d much rather you focus on one series, and study a few clips intensively. The same problems come around again and again. You learn to fix them by becoming aware of them. You also need to zoom out and just listen too. But if all you do is just listen, you’ll never understand why you don’t understand. So you’ll never be able to improve. Time. Our most precious resource. What are you doing with yours? If you’re watching a film that you don’t understand once a week, then that’s not a great use of your time. If you take a couple of clips from that film, work on them intensively to figure out why you don’t understand and you start fixing this (with the help of a teacher for instance), you’re spending less time overall and getting better results. Getting results doesn’t have to take a long time. If you focus on what’s important, then you can do more with less. 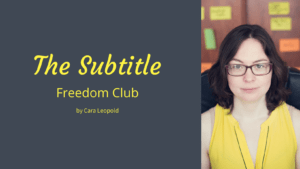 I’ve made a video and worksheet just for you so you can break free from subtitles. Enter your details below and I’ll send you a copy. Also, my new programme, Freedom from Subtitles, has 2 places open for July. Find out more here.